Garden Adventure can supply garden buildings throughout the UK, including Chertsey, Surrey. We offer an exciting and diverse range of log cabin kits which are suitable for all kinds of application including additional storage, playroom (child or adult !) summer house or home office. If you're looking for a garden building or log cabin kit in the Chertsey area and you cannot find the answers anywhere on the website, please call to discuss your requirements. Our sales staff will be pleased to hear from you and are trained to offer advise rather than push for another sale. We will try our best using years of experience to help you and to help meet your aspirations and budget targets - call today ! Please try our comprehensive search facility. 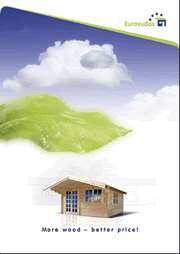 Here you can search using criteria such as cabin type, ie standard cabin, timber garage or multi room building, log thickness, width and height. By selecting one or more, you will quickly find the building that best suits your needs. We hope this tool is useful to you.